Macau has long been a popular destination for gamblers around the world. Many predicted that last year’s growth results were as a result of a decline in US and European casino traffic. However, this Special Administrative Region of China has reached unprecedented growth figures in revenue of 13%. To out these figures into perspective, Las Vegas generated $6.5 billion in bets in 2013. Macau did $4.4 billion in March 2014 alone. The reason for these astronomical figures is that Macau does not rely on the smaller stakes gamblers, as one would find in Vegas. Between 70% and 80% of Macau’s revenue is generated by the HNWI (High Net Worth Individuals) sector. A main contributor to this influx of HNWI’s is the proximity of Shanghai, which is only a 150min plane ride away. Being the financial capital of China, this city attracts many of the world’s leading businesspeople. However, this growth is not only linked to Macau’s physical casinos. Due to the fact that many countries – most notably the USA – have banned online casinos to be based on their home soil, many international online casino operators have looked to places like Macau to set up their servers and base. The appeal of Macau is vast. Compared with other regions, it is already gambling-friendly. The Chinese government has also put stops in place that make it appealing for international gaming companies to invest there. 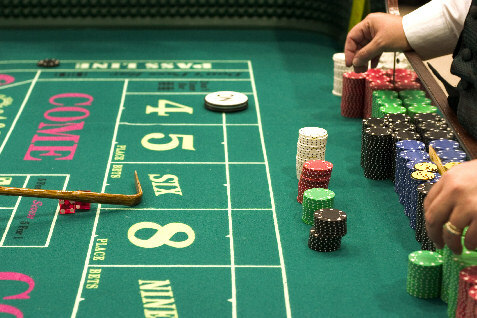 It is no secret that Macau is considered the gambling capital of Asia, and this reputation has spread across to other parts of the world. It is now commonplace to find online casinos themed around Macau, where in the past one would ordinarily find Vegas as the main theme, if the theme was destination-based. For those who are interested in accessing online casinos based in China, there are many websites dedicated to this. One such site is http://www.gamblingland.com where players from around the world can view unbiased reports on over 300 casinos – some of which are based in China. Not only has China become a main attraction for land based casino visitors, but it has taken this success online. Today, it offers many world-class online casinos where one can find a mixture of popular Western games like poker and roulette, interspersed with some quirky new games that also offer great player experience. The rise in popularity of the Chinese online gambling industry only augurs well for the future of the international industry as this has injected much-needed competition. Right now, the sky is the limit for China. And with its billion-plus population, there is no shortage of players.